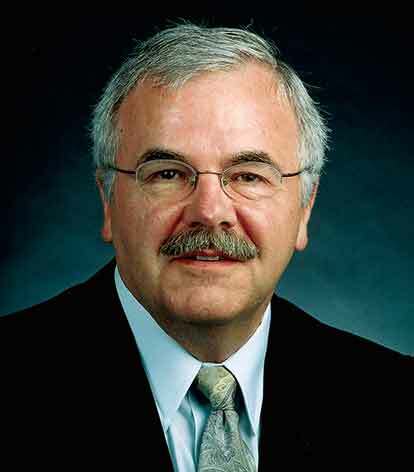 Arnold “Marty” Martin is Director, Process Control Technology at Air Liquide USA. As we learned during his presentation at ARC’s February 2019 Forum in Orlando, Florida, his company has been hard at work moving with its customer-centric, “NEOS 2016–2020” initiative. The company is looking for greater than 10 percent return after five to six years. Internally, it has coined the term “SIO,” which stands for Smarter, more Innovative Operations. Fundamentally, it is a digital transformation of process control (Industry 4.0) initiative. Mr. Martin mentioned several suppliers that have been helpful. He cited Yokogawa’s PACE Advanced Process Control product in particular. Part of Air Liquide’s program included an essential sub-program called “SURE,” which stands for Software Utility for Real-time Efficiency. Prior to standardizing on this product, the company was using what he called a “garage shop” multivariable process control (MVPC) technology and found this product far superior. According to Mr. Martin, control modernization is “the hardest thing in the universe to cost justify,” but is essential to enable the company’s plants to meet the needs of its customers. To succeed in control modernization, the company not only needs solid support from its suppliers, but also reusable standards to help create a platform from which to leverage modern technology for its Center of Excellence (COE). Mr. Martin also emphasized the importance of enabling and empowering personnel. Using machine learning and other artificial intelligence and analytics technologies, the company’s goal is to lessen the burden on its internal experts while providing operating personnel with the information they need to make good decisions. “If you know something is happening, you can do something about it before a failure occurs,” according to Mr. Martin. Air Liquide has had excellent results so far and is averaging about one-year ROI on over $8 million in investments to date. This would not be possible without the transformational change in attitude that is permeating the company. People are critical, and they need modern tools to do their work. With the reality of workers changing more rapidly than in the past, it is essential to have a training and transition plan in place, and to “stick to it,” according to Mr. Martin. ARC has been working with manufacturers to help them find the right solutions in their Digital Transformation journey. Based on what we heard and saw at the recent ARC Industry Forum, several companies, like Air Liquide, have made considerable progress in not only transforming their technologies, but also identifying the benefits of proceeding with digital transformation projects. Understand your corporate business objectives and align digital transformation strategies with these. Assess the performance of your plant (or plants) to find the gaps and missing potential value. Express these opportunities and gaps in terms of business value, rather than technical terms, such as failure rates, transition times, or other non-financial metrics. This is a team effort. Develop a strategic plan to improve performance – beginning with the highest value/lowest risk opportunities identified by the assessment. Perhaps most important, is to make sure that the corporate executives agree with what you and your team are doing. Ultimately, your team’s findings should be considered along with other CapEx opportunities to maximize asset capabilities throughout the enterprise.